This vise features an exclusive slide bar to prevent the jaws from tilting up or sideways when tightening. Adjustable gibs take up any slack on both top and bottom slides. Use this vise on your drill press for cutting keyways and doing light milling jobs. Base measures: 5" x 10-1/2"
Mounting slot size: 7/16", spaced 4-3/4"
This cross sliding vise is perfect as for I needed a type of milling machine to help in my process of making jewelry and I needed something on a smaller scale that I could attach to my drill press. This vise is the perfect solution and I got it at a very reasonable price; I am looking to purchase more equipment in the near future from Grizzly !! This vice works well, once you clean of all the cosmoline that it is shipped with and adjust the play setscrews it works very well. 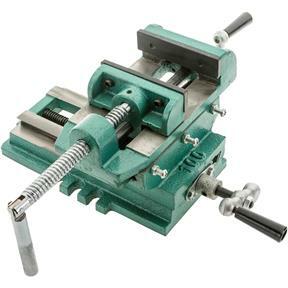 This is a nice vice to use to help center the drill bit on the spot to be drilled. It might work for very little milling but not for general milling work. I bought this on March 23, 2018. I am glad I made the purchase. I had a couple of projects that needed to be done and with the vise it made it so much easier. I would recommend this for the any household. Great to have. Grizzly has great customer service. Yes, I am very pleased with this vise and I am sure it will do just fine for my purpose. My only problem is not with the Grizzly vise but making sure the drill press table is perpendicular to the axis of the drill chuck at zero degree set. I will have to "sweep" the drill press' adjustable angle table with my dial indicator at the zero degree mark to see just how precise my table is in relation to the drill chuck's vertical axis. 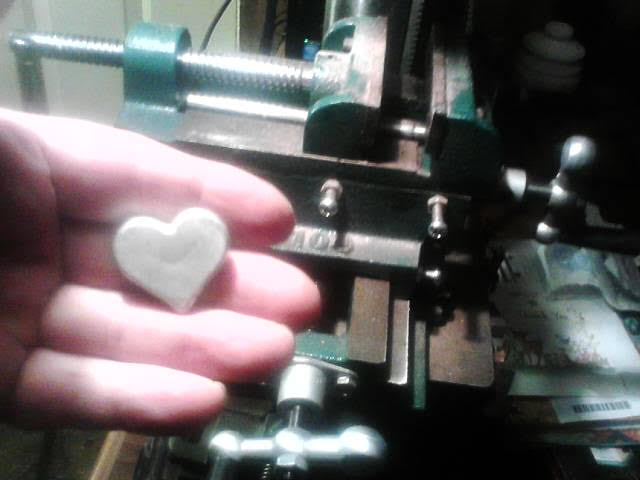 If it is not aligned within a few tenths at most then I will have to custom make a pin for it and re-ream the hole to account for the change in bore size. Without a lathe these days it will be a real challenge to make one within specs of the hole size. There is more play in the vise than I expected considering its coming from Grizzly but I guess its not the worst for the price. I received this vice a few months ago, and have used it a lot on my floor model drill press. Action - after minor adjustment is smooth and precise. I did a lot of checking of other cross-sliding vices and this seemed to be the best for the money. No regrets. As expected, it is too high for my smaller bench top drill press, and the slots to attach it to the base don't match. To use it on that drill, an adapter plate would be needed, and only a few inches of height would be left for a drill bit. I think 12 in. from base of drill press to end of chuck would be about the minimum to allow effective use of this vice. Because the crank handle for the bottom cross slide is lower than the base, it has to extend out from the base of the drill press - leaving only a few possible positions for fastening the vice to the drill press - even though there are 3 slots on each side, and one on the end. I found myself wishing for even more flexibility, i.e., more slots, or a sliding method of attachmet. However, if I make an adapter plate to raise the vice about an inch so it can be positioned anywhere on the base using existing slots. Lead screw and nut sloppy. Will not hold position. Works perfectly for my needs. Some slop in movement but very little. Much less than other versions I've encountered in the price range. A very good addition to my drill press. Good value for the money! Bought this a few months ago, only used for one project but it works well. The 4" vice is kind of small and after opening the box I wished I had looked for a larger one. But it did work good and got my Job finished. 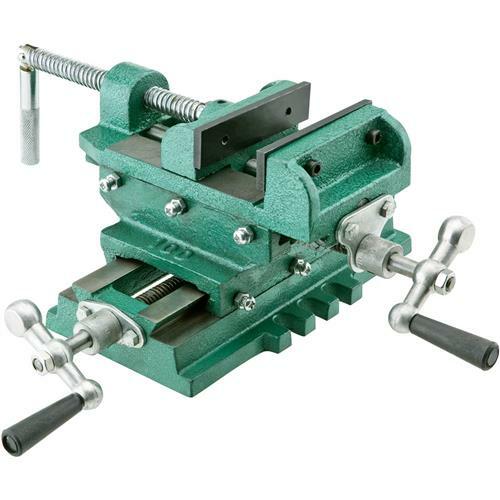 If the size of the vice is what your looking for then I would recommend it without hesitation. Purchased this a month ago and it is perfect for my use. I would recommend this tool. Better than I expected for the price. Does what I needed it to do and does it well.